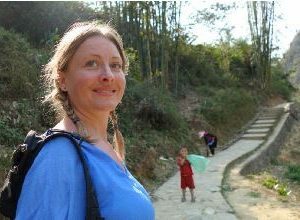 recently it was presented as a volunteer opportunity in Vietnam with the mandateof Customer Service Training Advisor. I will spend a year in Rach Gia in Kien Giangprovince at the Kien Giang Technical and Economics College (KGTEC). I will workclosely with faculty members to improve their curriculum as well as improve teaching methods. I look forward to working with the team at KGTEC!! !